Amrita Yoga & Wellness is one of Philadelphia's leading yoga and pilates studios. Amrita offers a variety of Yoga traditions, Hot Yoga, Pilates Mat, Pilates Reformer, Rebounding, Barre classes, and Massage services in a beautiful, tranquil space. Join us for a class or wellness service with our dedicated, compassionate, and highly trained team that truly embody balanced, radiant, healthy living as a way of life. As of Monday December 17, 2018 we will now be using GloFox for all class reservations and studio purchases. After February 1, 2019, Amrita Yoga & Wellness will no longer be able to access the MindBody Online software. GloFox works best in our mobile app! Amrita offers classes for all levels, from complete beginner to advanced practitioner. Whether you’re joining us at our Fishtown (Amrita North) or Graduate Hospital (Amirta South) location, check out our class descriptions to see what classes are best suited for your level. Receive a discounted rate on 30 days of Group Yoga, Mat Pilates, and more! Select your studio below to learn more. barre classes now offered at Amrita! Amrita Barre classes mixes elements of Pilates, yoga and fundamental training, choreographed to motivating music to create a work out that is not only fun and dynamic, but will also tone and sculpt your muscles! 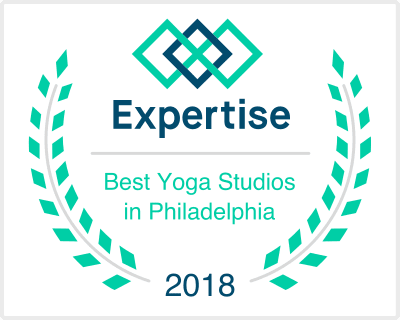 Amrita Yoga & Wellness is an urban sanctuary for practitioners of yoga, Pilates, barre, and rebounding located in Philadelphia, PA. Amrita (or “immortal” in Sanskrit) believes that yoga, meditation, and movement should be accessible for every person. We offer a variety of classes, workshops, and retreats based in yogic tradition and beyond, for beginners, intermediate, and advanced practitioners in a welcoming environment. For those interested in deepening their practice off the mat, we offer workshops on meditation, Ayurveda, massage, and radiant health counseling. At Amrita, you will sweat, you will smile, you will connect to your higher self and to our shared sacred earth, all while accessing the very best of you; your own luminous self. Amrita Yoga & Wellness offers a variety of items that help you engage in and deepen your practice. We sell only brands we love and know you will, too. Stop by the front desk at either of our locations to find yoga accessories, spiritual meditation beads, candles, and other tools for healing. Amrita Yoga & Wellness has two locations in Philadelphia. Click a studio below to see the current class schedule at that location!